With over 3 million children currently enrolled in ‘gifted’ and ‘talented’ programs across the country, there is no denying the fact we have been blessed with some incredible young minds here in the United States. However, for every gifted child that is identified, at least one more remains overlooked and misunderstood. It is our responsibility to learn what to watch for. Looking back throughout history, you will find that many of the world’s greatest minds were once underestimated, their quirks seen as signs of eccentricity rather than indicators of their true intelligence. When left in a situation where they aren’t challenged on an intellectual level, these children are often seen as having behavioral problems. They simply get into trouble because they are bored or because they are seeking attention. The only way to truly help them achieve their first potential is to first identify just how incredible this potential may be. Highly intelligent children are eager for every opportunity to learn and expand their minds. This need to keep pushing themselves intellectually often manifests itself as ‘boredom’ in the classroom, or while engaging in ‘simple’ games and activities as those around them. It isn’t that they don’t care to learn in class, they simply aren’t being challenged enough at this time. When you put a problem in front of a gifted child, you will often find that they are able to find an effective solution rather quickly, but it’s not the speed that’s most impressive. They aren’t limited to the thought patterns that hinder most people from finding these solutions, instead, they are able to look at life’s problems from a unique angle. This allows them to find new and ‘different’ solutions to the most common problems. They don’t just enjoy learning for the sake of expanding their mind, gifted children genuinely see learning as a form of entertainment, like a hobby or interest. They truly have a love and passion for it, which leads them to make it a priority in their lives, often turning down ‘fun’ for learning opportunities. The ability to identify and understand patterns is a clear indication of an advanced way of thinking. This is why many gifted programs us jigsaw puzzles as a way to test a child’s thinking and problem-solving skills. Their grasp of how these patterns work is advanced enough that it appears they don’t even have to think about it. A skill that many adults continue to struggle with, gifted children often possess an incredibly strong emotional intelligence. They aren’t interested in drama and are overly sensitive to situations in which they may cause pain or distress to others. This often keeps them out of trouble (but not always). When you put these children into a group situation, you will often find that they naturally take a leadership role, even if those around them are older. Their skills and abilities cause them to stand out, quickly gaining the trust and admiration of others. As we previously discussed, gifted children are eager to learn. One way that they can satisfy this desire is to dig into a good book. They not only enjoy reading, but they also LOVE to read and will devour book after book at every opportunity. If they come across a topic of interest, this desire will only intensify. 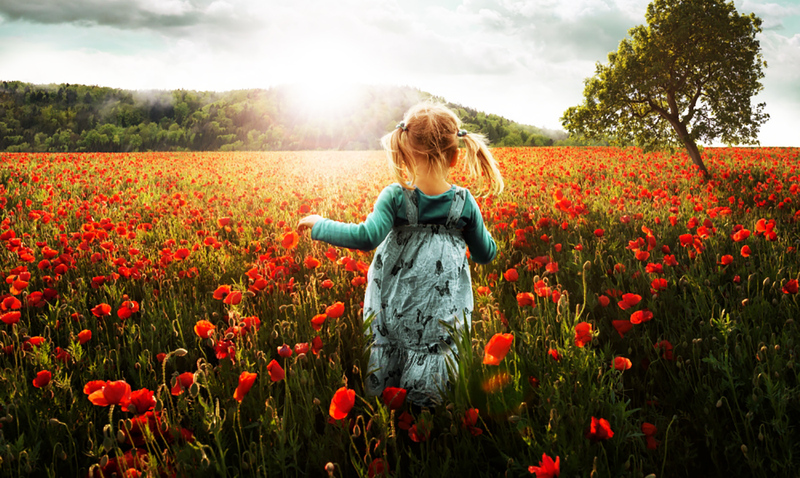 Gifted children love nature because it captivates their curiosity. While a forested area, for example, may appear simple at the surface to most of us, a gifted child will point out all the smaller nuances, the ecosystem and the way it all works together. They love exploring this and learning more about it when possible. The more time they spend in nature, the more they learn. When a gifted child speaks, there is often a significantly different language pattern. Rather than talking in slang, or ‘sounding like’ the other kids their age, they use their advanced vocabulary to express themselves in a mature and seemingly highly-educated manner. If you notice your child is speaking more like a college professor than a child, this is a clear sign. This point is contingent on one thing, the child must first be interested in the task at hand. If they are interested, there is little that can break their focus. They will, at times, appear completely lost in a specific task or topic. However, if they aren’t interested, they may even be seen as ‘challenged’ in some settings as their mind is somewhere else. Another example of a gifted child’s love for learning, it will seem as though they are always asking questions with no sign of relief. While this may be a little overwhelming for those on the receiving end of the questions, this is merely their extreme curiosity coming through, the same curiosity that triggers their love for learning. They aren’t interested in sitting around waiting for directions from others. Instead, they have the mental capacity to look at the situation at hand and decide the best course of action, deciding for themselves and stepping up to do what needs to be done. Often one of the most obvious signs of a gifted child is overlooked as talent as if the two aren’t related to one another. However, many gifted children excel at something, whether it’s playing an instrument, a specific sport or any other hobby they may engage in. This is the moment in which they are putting their intelligence to work in a tangible way. This is a trait that often has gifted children seen as trouble-makers or a ‘challenge’, however, many gifted children possess an incredibly high level of energy. This may manifest as talking really fast or an inability to sit down. Gifted children may struggle to make friendships, as they often don’t connect with people their age. This is largely due to the fact that they will seek out people who are intellectually their equals. While this may not be possible (especially for the highly gifted), adults will, in most cases, come closer than their own peers. While these children may enjoy spending time around others from time to time, they place a high priority on their alone time. This is their time to relax, recharge and make sense of their thoughts. Remember, their mind is always on the go, which is likely exhausting. This may mean time curled up with a good book, or an extra long stretch of time in bed. When you think about a gifted child, most assume that they will come out ahead in all that they do but this isn’t always the case. As we previously mentioned, they are often high energy and easily distracted. This prevents them from performing to their full potential, causing them to be seen as underachievers. For many, this is the exact reason why they are overlooked.